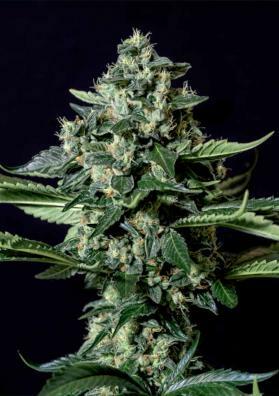 Super Silver Bilbo feminized Sativa Marijuana is the strain that has been of the favourite Haze strains in Spain since 1998. This plant behaves like a Sativa but produces a bud volume of an Indica plant. Super Silver Bilbo from Genehtik is the version of Super Silver Haze and was the Bio champion in the 2005 Highlife show in Barcelona. This strain exists since 1998 and since then it has been of the favourite Haze strains in Spain. It has a highly Sativa effect, highly cerebral and psychoactive which will stimulate your imaginaton being ideal to do activities, especially if they are creative. Its flavour is intense, metallic and has a classic scent of Haze incense. It is a majectic plant with characteristics of an authentics Sativa but produces a bud volume of an Indica plant, thick, heavy, dense and very resinous. In indoors, although it would seem to be ready 65 days we recommend to collect it a week later at which point it will be at its best offering a fantastic Marijuana. After this time, you will be able to harvest some interesting yields of 400-500 grams per square meter. In the outside, this is a large plant and blooms relatively fast besides being able to dodge fungal attacks, a feature highly appreciated by northern outdoor breeders. In October, you will get great outcomes.